We remain concerned about the situation in the East and South China seas. We reiterate our strong opposition to any unilateral actions that escalate tensions and undermine regional stability and the international rules-based order, such as the threat or use of force, large-scale land reclamation and building of outposts, as well as their use for military purposes. We urge all parties to comply with their obligations under international law, and call for the full and effective implementation of the commitments in the Declaration on the Conduct of Parties in the South China Sea (DOC) in their entirety. We emphasize the importance of ongoing negotiations for an effective code of conduct and welcome an agreement that does not derogate from the rights parties enjoy under international law or affect the rights of third parties. We also recognize that in order to secure stability in the region, such diplomatic efforts should lead to demilitarization of disputed features and a peaceful and open South China Sea in accordance with international law. We consider the July 12, 2016, award rendered by the Arbitral Tribunal under the UNCLOS as a useful basis for further efforts to peacefully resolve disputes in the South China Sea. We reiterate our concern regarding the destruction of marine ecosystems in the South China Sea, which threatens their sustainability and regional fish stocks, and reaffirm our commitment to increasing international cooperation to enhance protection of the marine environment. We reaffirm our commitment to further international cooperation on maritime security and safety, as well as the protection and sustainable management of the marine environment. 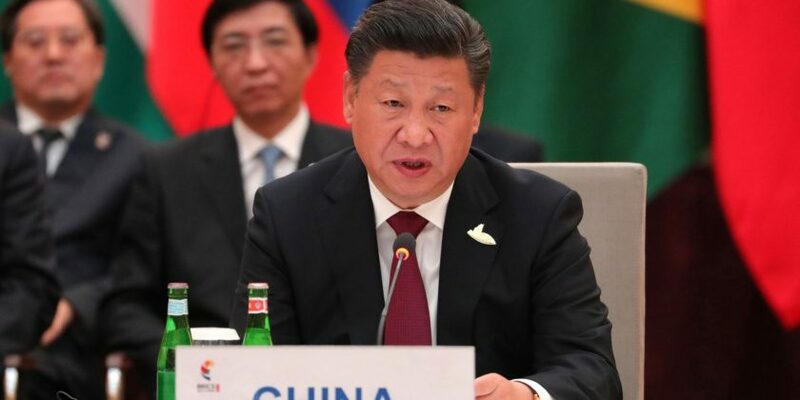 “The irresponsible practices of the Group of Seven (G7) have revealed its hypocrisy and double standards, an article published by People’s Daily stated on April 26, a few days after the group issued a joint communiqué that contained untrue and irresponsible content related to China. Masquerading under the name of international law, the joint communiqué points the finger at the South China Sea and East China Sea issues, as well as China’s human rights situation. China firmly opposes the China-related content, a Foreign Ministry spokesperson said on Wednesday. Seemingly promoting “de-militarization”, the G7 foreign ministers are indeed ignoring the militarization, and have even made unjustified accusations against China. Such practices are contemptible.” People’s Daily China replies.